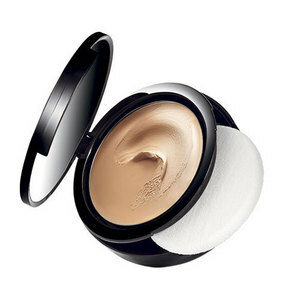 A mineral foundation that goes on as a cream and dries to a powder. After hearing rave reviews about this foundation, I knew I had to try it. A number of people told me that this foundation is perfect because it gives great coverage without being cakey. I absolutely had to try it for myself. I’m not typically a fan of foundations – I’d much prefer a tinted moisturizer or BB cream. At first, I tried samples. Using my finger, I applied the foundation and loved the result. When I bought the full-sized product, I used the included sponge applicator to apply it. I hated it. It came on heavy and it was not at all what I was hoping for. I decided to give it one more chance with a foundation brush – la pièce de résistance! The foundation is really smooth and silky. Even with my oily skin, it leaves me with a matte, fresh look all day. If you’re looking to try out a new foundation, Min-a-Real is a definite buy.